Start planning your perfect hen do now! 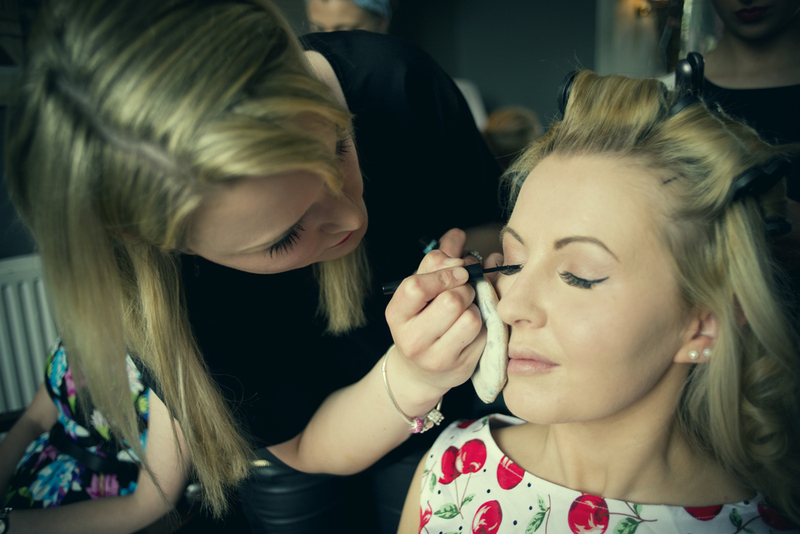 We can help with anything from a classic afternoon tea to a fabulous makeover afternoon - the choice is yours. Your wonderful best girl has got engaged – and asked you to arrange the hen. But with so much to choose where do you start? 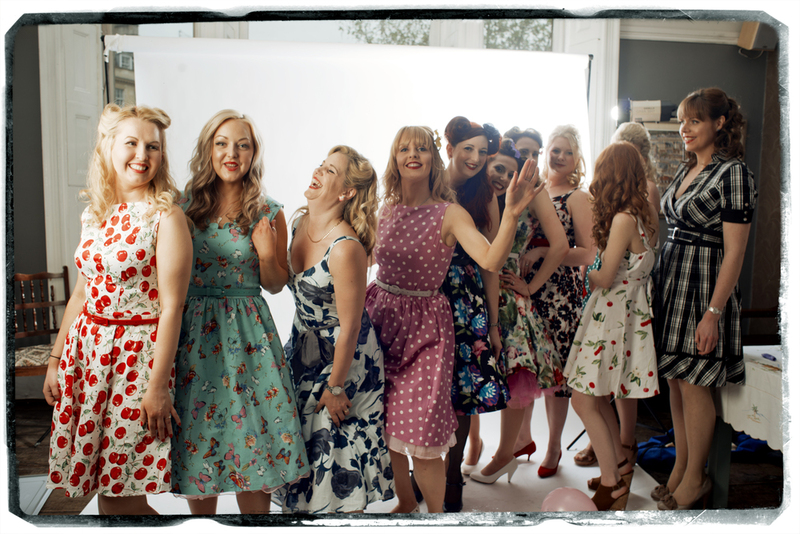 What about a vintage hen party? Throw a vintage tea party with us and we’ll ensure she feels the centre of attention surrounded by pretty English china, indulgent homemade cakes and her favourite people. It’s the ideal activity to make use of your home or accommodation (especially if you’ve spent your savings hiring somewhere), to break the ice for a group who don’t all know each other and/or to create space in the day to chat, laugh, play games or just relax, particularly if you're looking for a way to fill an afternoon. We are based in the Bath area and are happy to organise a venue for you or we can travel to wherever you are, near or far. 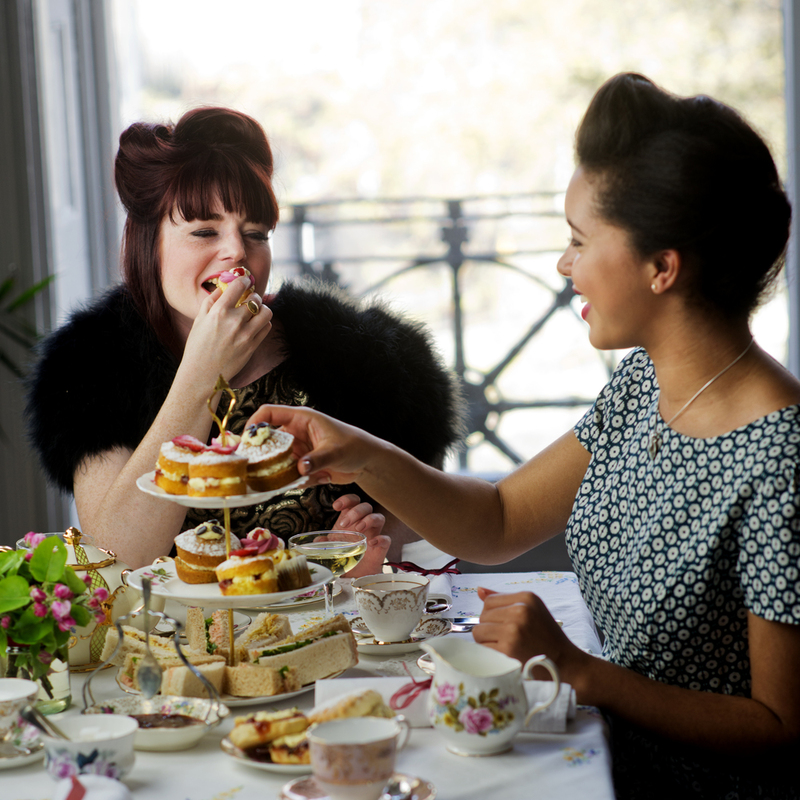 You can book our classic tea party menus for any time of the day or opt for one of our special packages that combine an activity with a tea party like vintage makeovers, burlesque, dance or craft workshops. We are very experienced at hosting hen tea parties and understand how much organisation and emotion goes into providing the perfect send-off. That's why we do everything we can to make it as easy as possible for you so that all you have to do is organise the ladies (a full time job in itself). Delight in a delicious homemade afternoon tea delivered to your venue or holiday home/home in Bath or surrounds. Comprising finger sandwiches, mini sponges, scones with cream and jam and petit fours complete with tiered cake-stands, cups, saucers plates, teapots and cutlery, we can adapt each menu to be more sweet or savoury, depending on whether you would like it to replace a meal, eg at lunchtimes or early evening. We will deliver in the morning and collect late afternoon. Linen hire, washing up and delivery costs optional and additional. Minimum spend £180 plus delivery. Linens, extra catering and washing-up optional. Brought to you wherever you are, or arranged for you in a suitable venue. 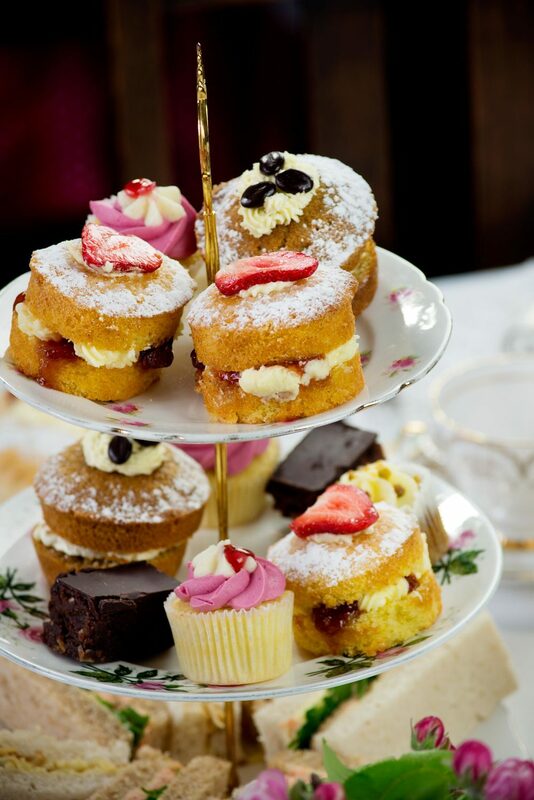 Comprising finger sandwiches, mini cupcakes, savoury bites eg sausage rolls, scones with cream and jam and petit fours served by us on tiered cake-stands, we can adapt each menu to be more sweet or savoury, depending on whether you would like it to replace a meal, eg at lunchtimes or early evening. We include white linens and embroidered afternoon cloths, table favours, unlimited tea and flowers as part of the party - plus we bring scene-setting music along too. The hen also receives a complimentary rosette and each guest receives a glass of bubbly pp. We travel to Bath, Bristol, Frome, Somerset, Wiltshire and Gloucestershire, please ask for travel fees. Priced according to number of guests, typically 12 people pay £30pp, 18 people pay £28pp and 21+ pay £25pp and the hen goes free. No travel charged to BA1 in Bath. We know that large groups often have a lot of varying budgets to please, which is why we have a special price for parties of 15 or more. 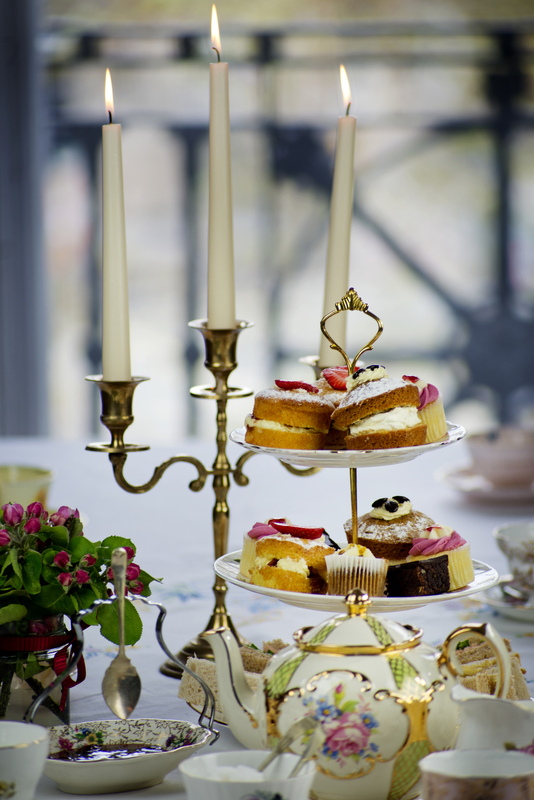 Our Judy afternoon tea comprises homemade sandwiches, cupcakes and handmade petit fours served by us on vintage china. We also include full set-up, service and washing up, linens and tea and can adapt the menu to be more sweet than savoury if required, making them Ideal for a relaxed Friday afternoon/evening welcome get-together, Saturday brunches or afternoon chill-outs. Sometimes you might fancy an afternoon tea, but you want to enjoy it at lunchtime or in the early evening. That's where our lunch/high tea table comes in. We provide a selection of sweet and savoury options, like quiches, fresh salads, large cakes to slice and scones and deliver it to your accommodation or venue, with or without display china. You can hire additional china and book service from us too, or we can just leave the food with you for you to enjoy at your leisure. Ideal for groups who want a more informal meal, with or without the vintage china twist. Who wants to make breakfast after a hard night's partying? Ideal for late, lazy Saturdary or Sunday mornings, let us bring pastries, granola, egg and bacon bites, veggie bakes, orange juice and cafetieres and 60's style retro china to ease you into your day. Ideal if you have fresh-faced/clear-headed people joining you (new mums perhaps), or for lunchtime parties. 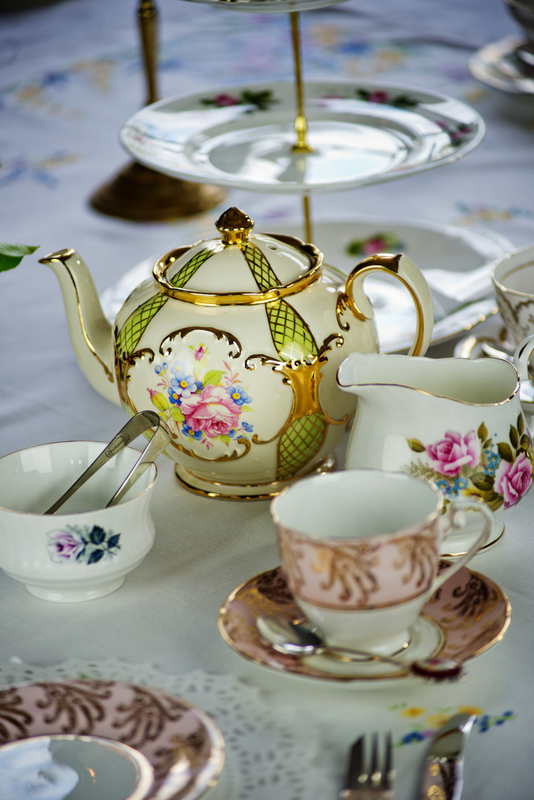 We can use classic English china if you prefer and provide bubbly or Bloody Marys (if you can face it). Minimum party size 12, or we are delighted to serve smaller groups for an additional supplement. Service and delivery additional. 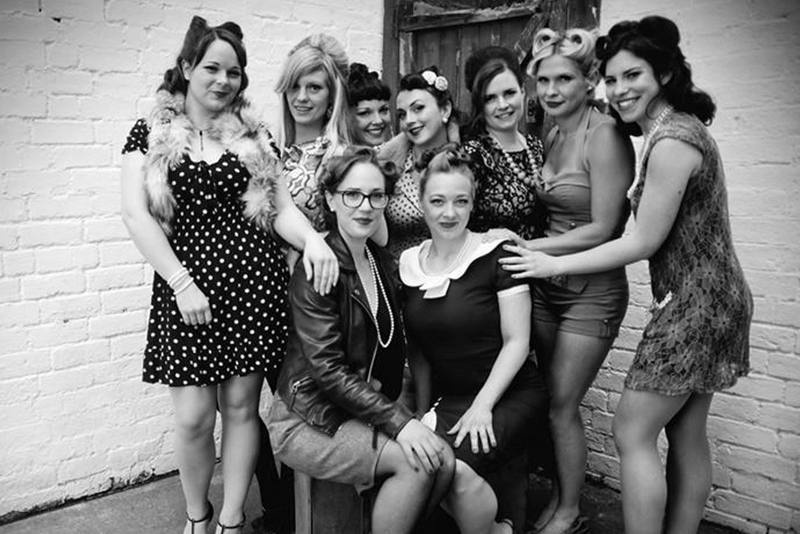 Vintage dance Parties - Charleston, Jive, Go-Go dance lesson plus Bubbly and afternoon tea. Learn a routine for Saturday night or even the wedding party, before indulging in a sumptuous afternoon tea served on vintage china with unlimited tea and glass of bubbly pp. This is a fun and fabulous activity which is a great ice-breaker and which we can arrange to happen over one of your mealtimes (the menu can be more savoury than sweet if you prefer), taking the stress out of having to move your hens from one part of town to the other or to have to think about planning another meal. We also gift the hen a complimentary sash or rosette and provide table flavours, flowers, linens and service too. 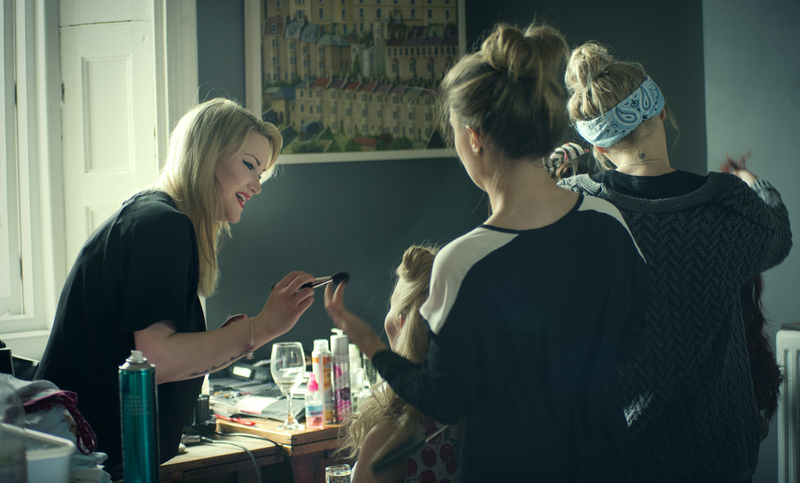 This is the ultimate in hen party glamour! 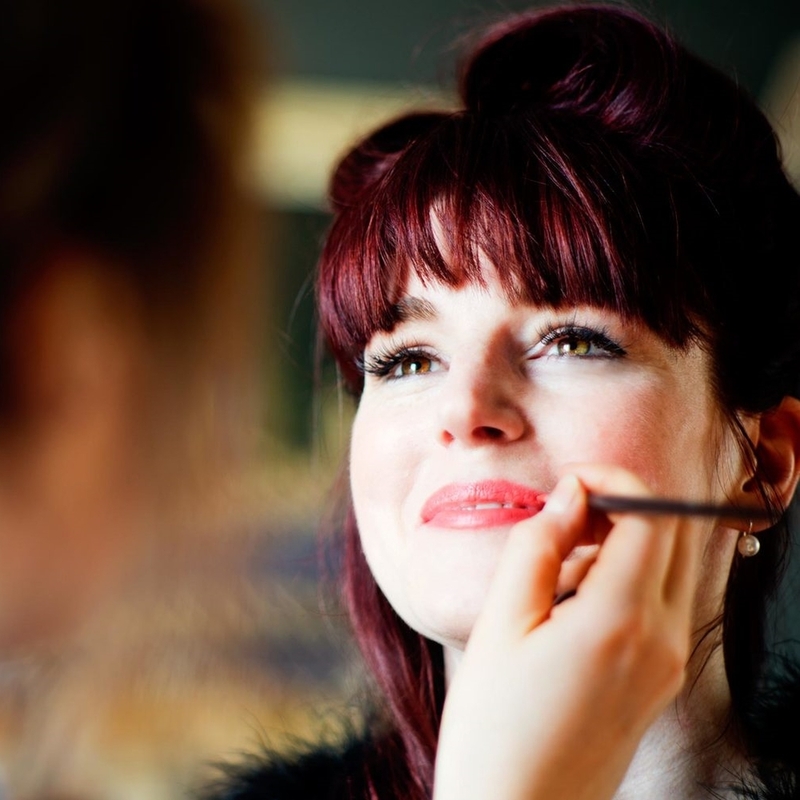 Enjoy a full any-era vintage makeover - hair, make-up and even lashes - by a professional make-up artist while we serve you homemade sandwiches, scones and cakes served on vintage china with unlimited tea and a glass of bubbly with canapes per person. The party lasts a minimum of three hours so it's a wonderful way to fill an afternoon, plus it's the ideal choice for an evening look (and makes for fantastic photos). Your tea party will be served first and then your guests will start their makeovers and once tea is finished, we will change the tablecloth and provide you with nail varnishes and manicure sets for some DIY pampering while you wait for everyone to be finished. 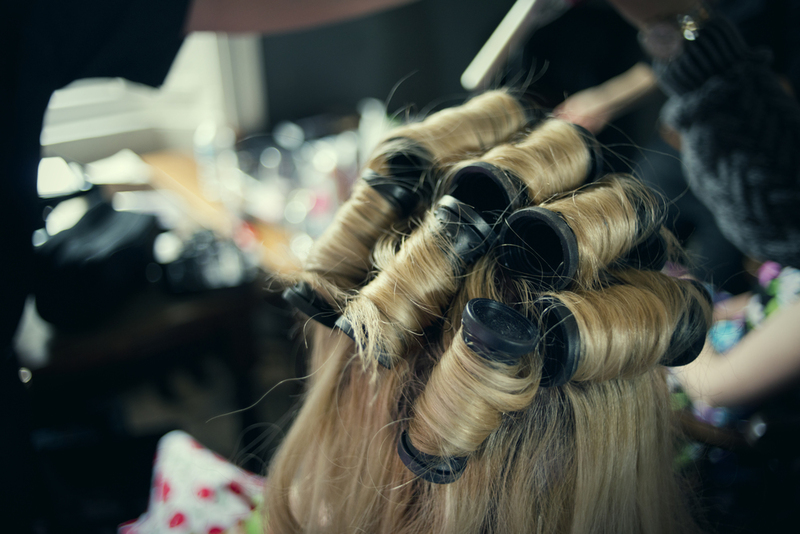 You could also ask for contemporary going-out glamour makeovers too as all our stylists are trained in all kinds of looks. Minimum group size 12 but for groups over 20 the hen goes free. Why not learn a routine from one of your favourite girly films or videos - and perform it at the wedding too! 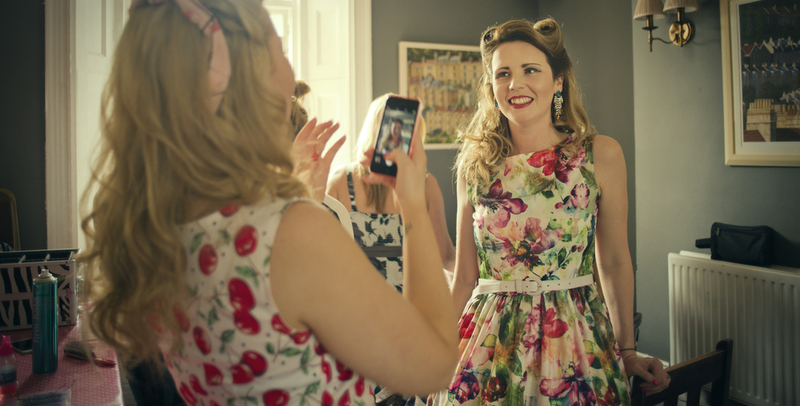 Our Retro Dance tea parties comprise a minimum hour's dance lesson by a professional dance teacher, followed by a delicious afternoon tea served on our exquisite vintage china with unlimited tea and a glass of bubbly per person. We also gift the hen a complimentary sash or rosette and provide table flavours, flowers, linens and service too. Make a headpiece for the big day (or even the big night ahead), create some personalised bunting or sew a saucy garter or with our excellent creative tutor and her burgeoning bag of sequins, sparkly stuff, feathers, ribbon and more. Followed by an indulgent tea party served on vintage china and a glass of bubbly per person. It's not a hen party without some sauciness...so if you've got a group who are naughty and nice, book a burlesque tea party. It's a great way to introduce some tease without the sleaze as all clothes remain on(!). Laughter guaranteed as well as a cheeky routine to perform on the dancefloor that night (or shock 'em at the wedding). We're also able to book any of our activities without an afternoon tea, from vintage makeovers, to dance lessons to craft workshops, just email us to ask. 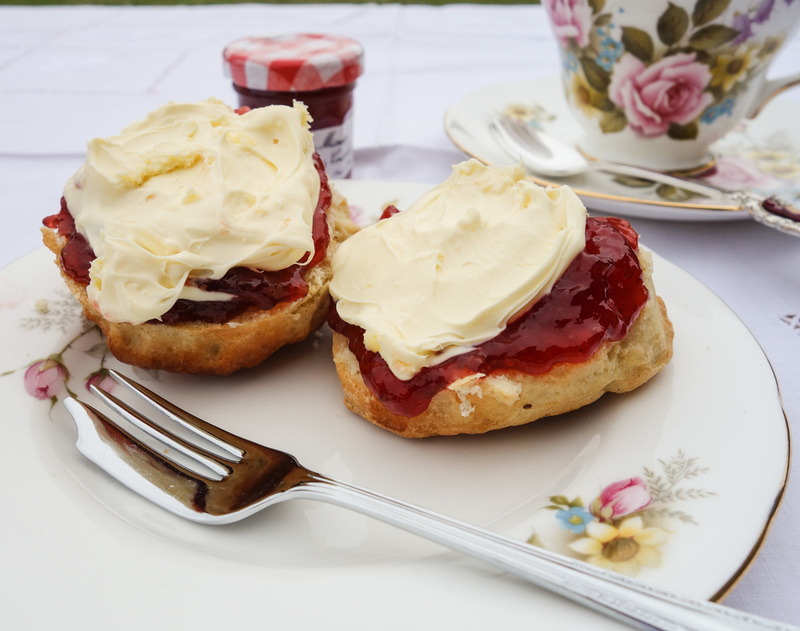 And we also offer a cream tea without the china delivered to your session or at any other time during your hen party, for £6.95 per person or handmade cupcakes for £12 a batch (of 12). Just order using our booking form which we will send you on application, or go to the shop and order there. Delivery to Bath and Frome areas only.